← Eagle Mountain Schools Receive Sponsorship from Local Internet Provider, Direct Communications. 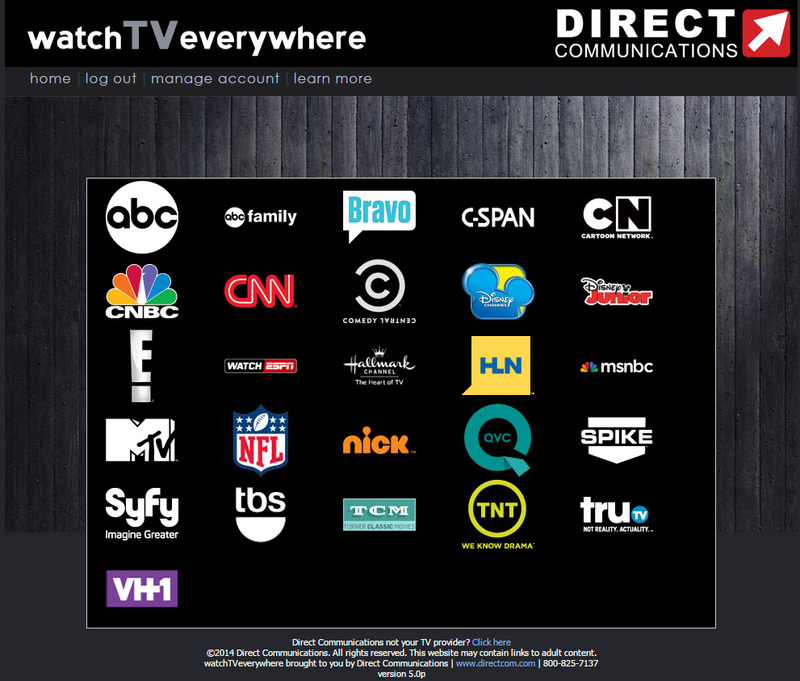 Directcom is pleased to announce the launch of a fantastic new online feature available to all Directcom Cable TV customers in Idaho: WatchTVeverywhere. Watch TV Everywhere allows you to view your favorite channels online on any device from anywhere you have internet access at anytime. If you are away from home and don’t want to miss your favorite show, as long as you have internet access, you can log in and use your smart phone, laptop or tablet as your TV. Plus, you can use the online library to access your favorite content, like past episodes, online anytime, so prime time is whenever you want it to be. This is a wonderfully convenient way to watch TV. WatchTVeverywhere is really about freedom. No longer do you have to be tied to your couch or living room to watch your favorite shows. Watch anywhere, anytime. While Directcom pays for each customer to have access to WatchTVeverywhere, we are giving this service away to you for FREE, as a value-added feature to your regular cable TV service, to thank you for being a loyal cable TV customer, so we hope each customer will use it and enjoy the great benefits of this online video entertainment portal. WatchTVEverywhere has your favorite current shows and episodes. Sports fans will be especially excited to know that as a Directcom Cable customer, you will have full access too all subscribed networks on the WatchESPN app thanks to our partnership with WatchTVEverywhere. In the past, Directcom internet customers were only able to access content shown on the ESPN3 network. Now, if you are also a cable TV customer, you will be able to log in to the WatchESPN app under Direct Communications Cable, and access all games shown on ESPN and ESPN2, online, and while you are away from home. This is another great reason to choose your local cable company – note that DirecTV does NOT offer any online access to ESPN to it’s customers. 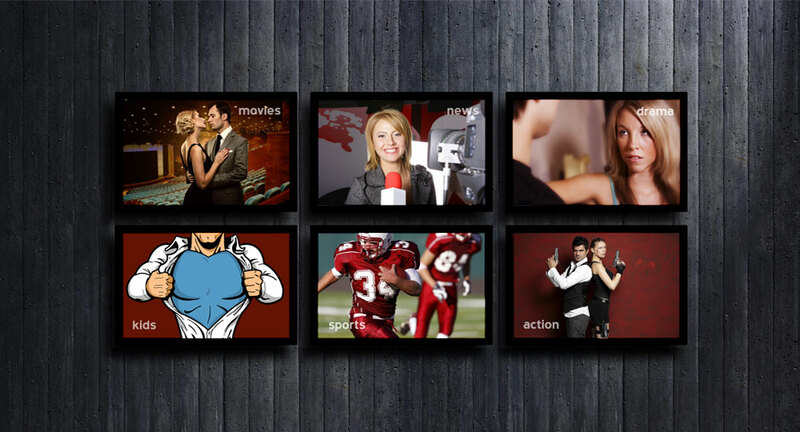 Even if you are at home, use WatchTVeverywhere as an extra TV screen, or as your personal entertainment library. It’s kind of like having a free Netflix subscription, but even better, because WatchTVeverywhere has current, live shows. This launch is an ongoing process–new channels are being added to our WatchTVEverywhere portal everyday. To use WatchTVEverywhere, you must first complete a one-time registration. To get started, visit http://www.watchtveverywhere.com, select “Direct Communications” your cable service provider from the drop-down menu, and click “submit.” Make sure you have your last invoice handy – you’ll need your account number, and the correct spelling of the last name on the account. Click “Register” to start the registration process. After you have registered, click “Log In,” and enter your username and password. Click on the TV Network you want to watch, and you’ll see a list of available programs. supportTVE-ncontent>It’s FREE. There’s no extra charge to use it. Nothing! At this time, there’s no extract cost for WatchTVEverywhere, so feel free to explore. There is nothing on the site that will result in an extra cost to you (except overage charges from your cellular carrier, if applicable). As long as you can receive the TV Network in your “regular” cable channel lineup, you may view that network’s TV Everywhere content, if available. To use WatchTVEverywhere, you must first complete a one-time registration. To get started, visit http://www.watchtveverywhere.com, select your cable service provider from the drop-down menu, and click “submit.” Make sure you have your last invoice handy – you’ll need your account number, and the correct spelling of the last name on the account. Click “Register” to start the registration process. Visit http://www.watchtveverywhere.com. Click “Log In,” and enter your username and password. Click on the TV Network you want to watch, and you’ll see a list of available programs. Direct Communications does not limit or cap your data, so you can stream as much as you like if you are using Direct Communications Internet at your home. However, if you are using mobile data through your cell phone carrier, watching TVEverywhere will count against your wireless/mobile data cap. Check your data plan before you use WatchTVEveryhwere on a smart phone or wireless network. WTVE programs transmit a lot of data. This can be expensive if you have a limited data plan. We have no way to know when you have exceeded your data plan’s limits. You are responsible for all charges billed to you by your mobile carrier.